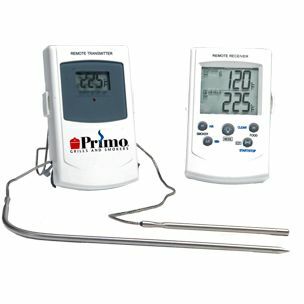 Use the Primo Dual Probe Thermometer to measure the internal temperature of your food and the pit temperature simultaneously. 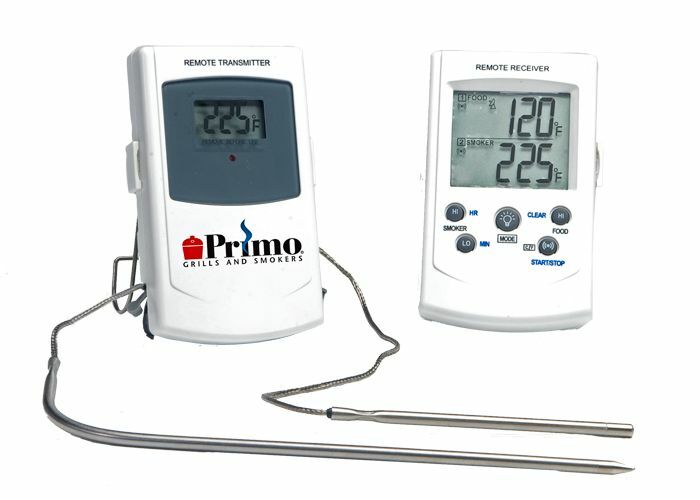 The remote sensor will sound an alarm in the event your temperature changes in the pit and another alarm when your food is done. 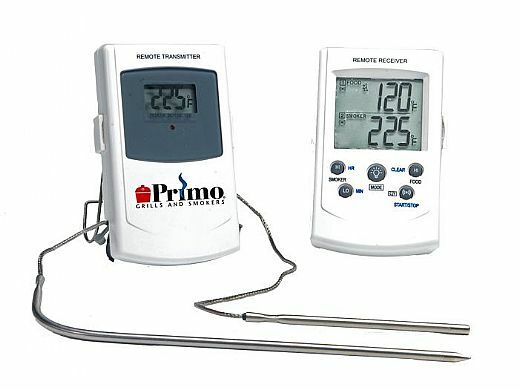 Not sure how I ever grilled without this! 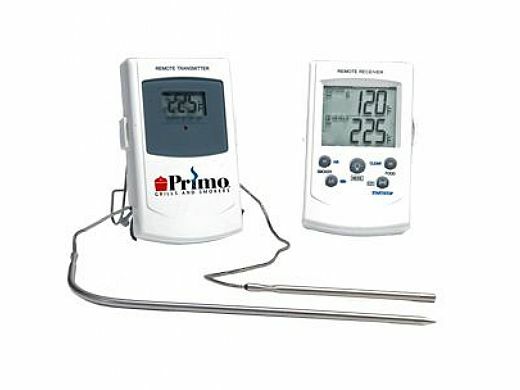 The temperature change alert is great and the timer when done keeps me from burring the meat.